Dunedin – A New Zealand company has created a world-first artificial intelligence (AI) medical platform for medical researchers and clinicians to create AI to auto-diagnose a large range of diseases based on a single photograph. Dunedin company oDocs, which created the system for Medicmind, says the AI system is working well and is ready for beta testing. MedicMind spokesman Glenn Linde says there’s no other system that is specifically for medical researchers. “The closest thing to this system is IBM’s Watson but it is not designed specifically for medical researchers. With MedicMind a smartphone app could use a neural network created with MedicMind trained to detect diseases like glaucoma, melanoma, and diabetic eye disease,” Linde says. “A lay person using a smartphone app could detect melanoma themselves or a clinician in a hospital could detect eye degeneration from an image of a patient’s retina. MedicMind is a cloud-based platform where medical researchers can upload images for their own AI training. So, if they want to create a medical neural network that can detect glaucoma they can do so with no prior knowledge of coding or programming. “Researchers could take the neural network created on MedicMind and put it on a smartphone or PC or whatever device they choose, and that device will be able to detect glaucoma from a photo. 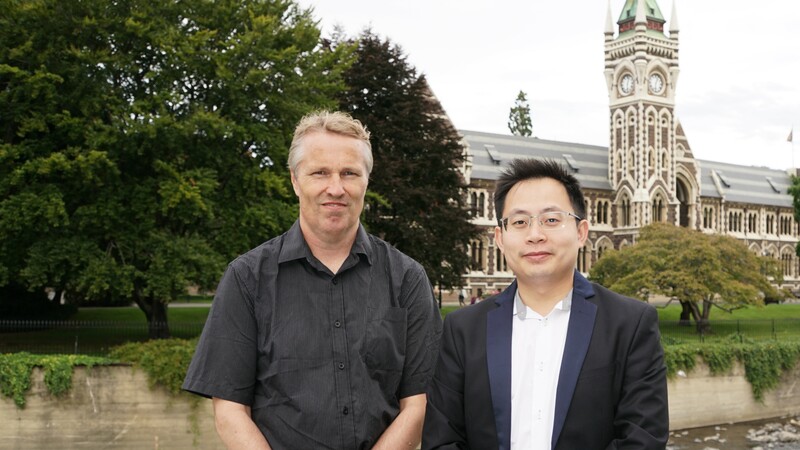 MedicMind founder Dr Hong Sheng Chiong, an ophthalmologist registrar at Dunedin hospital, wanted to use AI with image classification for improving medical diagnosis for patients. He also wanted to use image classification on thousands of 3D scans of people’s heads he scanned in the famous Dunedin Study and predict things like anaemia just from faces. Dr Hong says he envisioned a system that would enable researchers and clinicians to develop their own AI without prior knowledge of coding or programming. “There are many people like myself out there with a vision to develop the next generation AI for improving healthcare, but the technical skills and cost are overwhelming. Research in the field of medical AI is not accessible to the general public at all,” Dr Hong says. Linde says he initially thought it unrealistic to build an AI system with a simple drag and drop interface because of the complexity but realized with the cloud technology, there was unlimited resources for AI development that could be utilized. But he took on the challenge to build MedicMind with the same AI framework as Google’s Deepmind; used a state of the art neural network model; built on the cloud so users needed no special hardware; and built with an easy to use drag and drop interface. All they need is a computer and access to internet. Dr Hong and Linde built the system, specifically designed for medical researchers with a mission to make improve diagnostic healthcare and make AI more accessible. For further information contact Glenn Linde at Medicmind on 021 02277504 or Make Lemonade NZ editor-in-chief Kip Brook on 0275 030188.